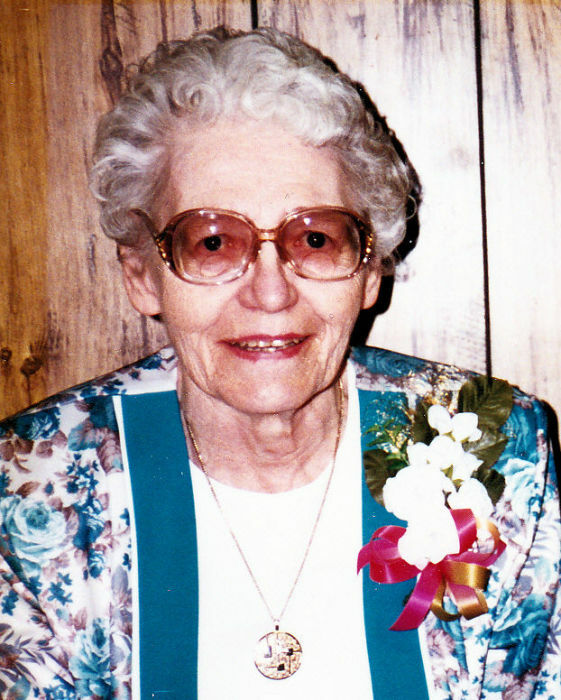 Bertha “Betty” Wrehe, 96 of St. Paul, NE formerly of Loup City, NE died Saturday, April 13, 2019 at the Howard County Medical Center in St. Paul, NE. Funeral services will be 2:00 p.m. Tuesday, April 16, 2019 at the United Methodist Church in Loup City with Reverend Jim Koontz officiating. Burial will follow at the Evergreen Cemetery in Loup City. Visitation will be from 5:00 p.m. to 7:00 p.m. Monday, April 15 at the church. Memorials are suggested to the new Loup City Fire Hall fund or donor’s choice. Bertha R. (Haesler) Wrehe was born December 13, 1922 at Loup City, NE to John and Bertha (Dickie) Haesler. Betty attended Loup City schools and graduated from Loup City High School in 1940. She taught Sherman County School districts #28, grades 1-8; Wiggle Creek District #93, grades 5-8 and in the Hazard school grades 5-8. From June, 1945 to December, 1945 she worked in the Office of Price Administration. On March 6, 1946 she married Richard A. Wrehe at the St. Paul’s Evangelical and Reformed Church in Loup City. They made their first home on a farm owned by the Needham family in the Austin Community. In 1960 they moved to the farm near Ashton, which was Richard’s birthplace. This farm had been in the Wrehe family since 1892. Betty was a dedicated farm wife. She enjoyed her pet dogs, quilting and gardening. Her and Richard always raised the best livestock. Betty is survived by several nieces and nephews. She was preceded in death by her parents; husband, Richard; two brothers and five sisters.